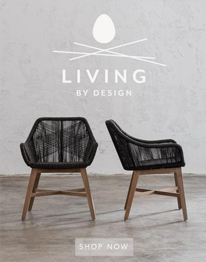 Back-of-house spaces are ready for their close-ups. 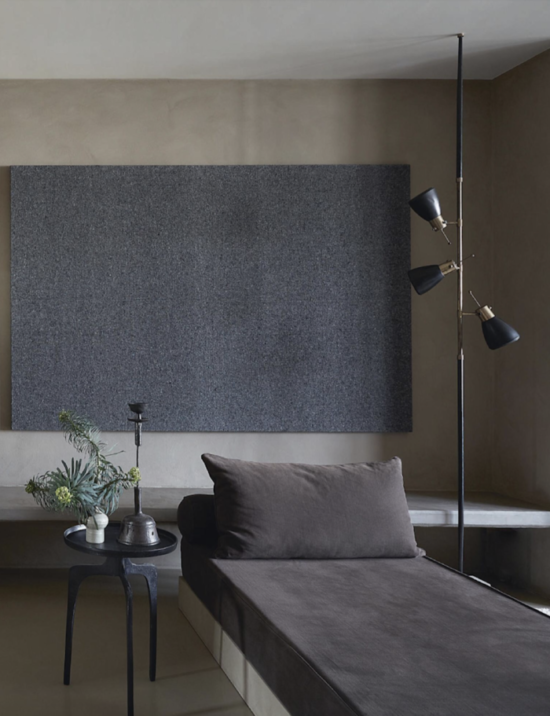 Given second-class status, behind-the-scenes, back-of-house spaces such as mud and dry rooms are ready for their close-ups, and architect Gil P Schafer is leading the way. Here, Schafer shares his insights on high-performing spaces that are a joy to use. L-R: Images via Paul Cosetllo; Eric Piasecki. 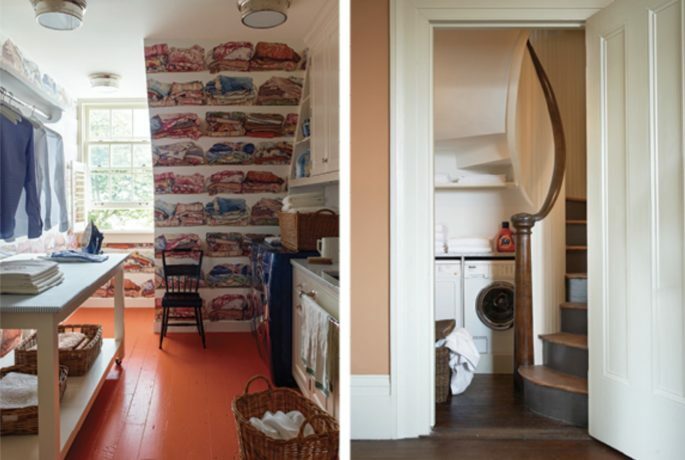 For a decorating-driven collaboration with designer Libby Cameron, above left, Schafer kitted out a utility area with orange floors and a navy washing machine, but practical details still abound from a table with a padded, upholstered top for ironing: a hanging rack that lets delicates drip-dry, a laundering nook tucked under a spiral staircase, above right– situated to service the guest rooms on the floor above- “adds quirkiness,” Schafer says. L-R: Images via Eric Piasecki; Paul Costello. 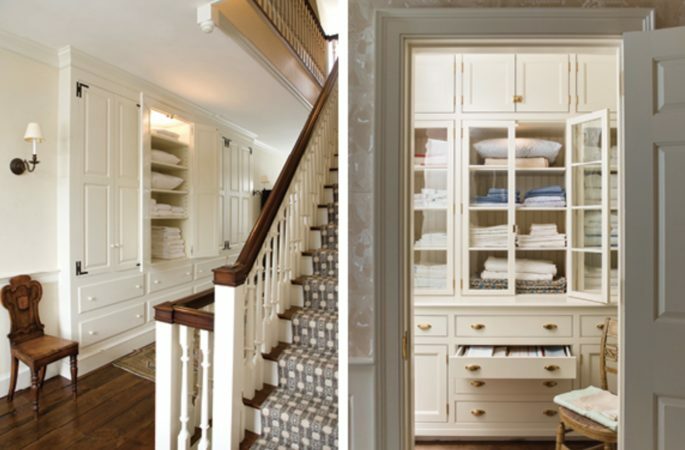 In a Hudson Valley house with storage on a well-traveled landing, above left, Schafer used wrought-iron hinges and overlay drawer fronts that vibe with the original 18th-century aesthetic; one of the cabinets conceals a laundry chute. 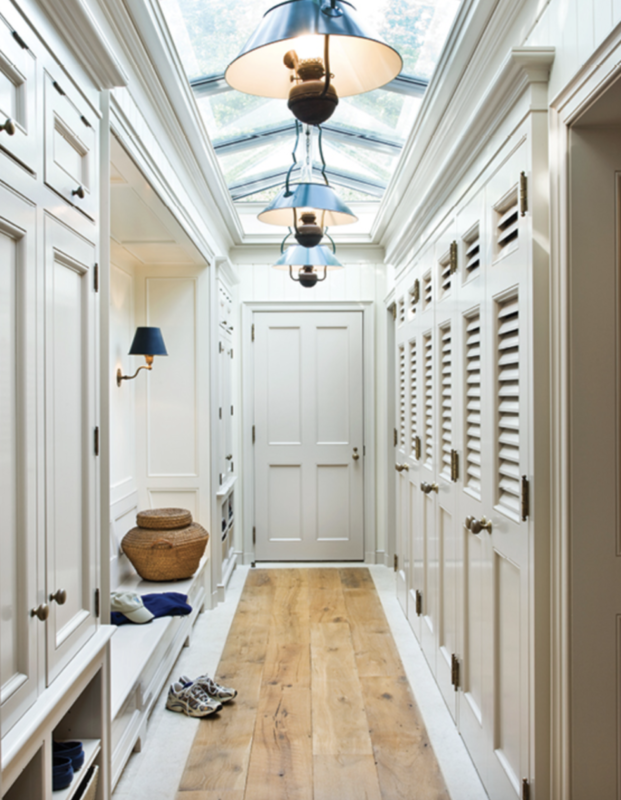 For a walk-in closet in a different project, above right, drawers plus solid-door and glass-paned cabinets provide a range of storage options. The brass drawer pulls and wallpaper backing the shelves provide just the right finishing touches. L-R: Images via Eric Roth, Paul Costello. Schafer lined a heavily trafficked spiral staircase in a Charleston house, above left, with hardy beadboard to stand up to bangs and scrapes. 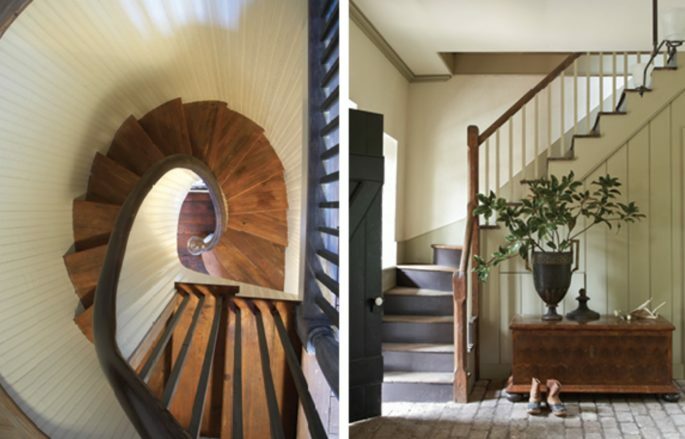 In the same house, above right, Schafer turned the back-stair landing into a rustically refined entry foyer. The plainspoken stair rail and reclaimed brick pavers give the space a rough-hewn nobility. “Many architects would’ve reconfigured the space to set the landing against something less awkward than the window,” he says, “but it adds character- you don’t always have to fix everything.” Original story taken from Schumacher blog.